Have you become bored with ordinary coupes or sedans? Are you ready to drive something that sets you apart from the crowd? If so, come explore the new Ford Flex near San Francisco, CA. 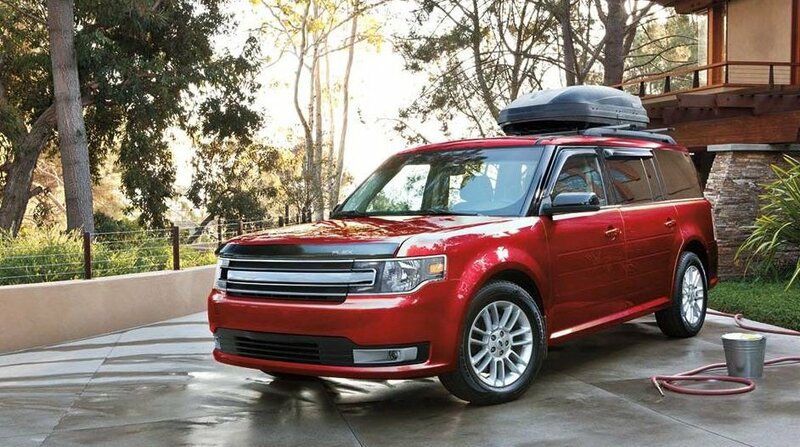 The Ford Flex is unlike any other model and is equipped with many flexible features. A power front moonroof, two second row skylights and a large third row skylight allow for a beautifully open cabin space. Drinks and snacks can be kept cold in the refrigerated center console and a powerfold third-row seat can be reversed for rear facing seating or folded down flat to expand cargo space. We have a nice selection of new and used Ford Flex models in stock, browse our complete inventory online. Ford dealer specials and factory incentives are frequently available. Our Ford finance experts can help you find the best deals and save the most money on a new or used Ford Flex. We will explain your options for buying or leasing and can arrange affordable monthly payments. For Ford maintenance service or repair, bring your vehicle to our auto service center. Our certified technicians perform oil changes, tune ups, brake inspections and wheel alignments as well as more extensive auto repair. Our genuine Ford and Motorcraft parts department is fully stocked with factory direct parts and aftermarket accessories so you can keep your Ford running and looking great. So why not stop by and test drive the Ford Flex near San Francisco, California today?